In 2010, Guide Dogs' legacy income seemed healthy. With a strong brand and wide public appeal, the U.K. sight loss charity was among the country’s top 10 charities receiving gifts in wills. But the reality was more worrying, according to director of fundraising Maria Novell, speaking at the Legacy Strategy Summit in June 2018 in London. Unprompted awareness (measured by how many people name the charity unprompted) had “dropped massively” from an impressive 25 percent in the 1980s, to just 2 percent thirty years later. And while average donation amounts were high, fewer people were actually giving every year. In fact, Guide Dogs’ legacy income had been declining by an average of 2 percent every year, said Novell, despite the fact that more and more Britons were leaving gifts in wills to charities in general. To put it in commercial terms: Guide Dogs’ share of the market was rapidly decreasing. Novell attributes this decline to growing competition, with many other organizations being much more proactive in marketing legacy giving. She knew Guide Dogs needed to step up. Legacies were the charity’s single biggest income stream — bringing in £28 million in 2010, which represented 53 percent of the charity’s income. In fact, two out of every three guide dogs are made possible by gifts in wills, according to the charity, and Guide Dogs commits to providing every guide dog owner with a dog for as long as they need one. So how did they turn things around? The first step was to get the board of trustees on side to start investing properly in boosting legacies. 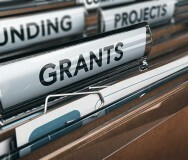 Having just secured approval for another five-year fundraising campaign, staff were cautious about returning to the board with another request so soon. What’s more, having done so little legacy marketing in the past, they had limited data on which to predict returns on investment, figures they knew the trustees would want to see in any proposal. Where could they start? “We looked at our data to establish our pledger to legator conversion rates, and from some small-scale tests we’d done in 2009, looked at what marketing channels drove what pledge rates,” Novell explained. While pledge rates may not be the perfect indicator, she acknowledged, they are at least a starting point — and this was the basis of the plan her team prepared for trustees. They also began segmenting audiences into ‘intenders’ and ‘considerers’ so they could start quantifying interest in donating. This included training regional staff in the charity’s 25 locations across the country, and promoting legacy giving among visitors to those sites; mass marketing of legacies among the warm supporter base; and trying out different ways to increase conversion rates among existing pledges. The team was honest with trustees, reminding them that it was the first time they were proactively marketing legacy giving — and that they didn’t yet know if this would improve or reduce pledge to legator conversion rates. In fact, said Novell, they “smashed all the targets” in their plan, securing more pledges in just one year than Guide Dogs had done between 2001-2008 in total. So in 2012 the team returned to the board with a much more ambitious, five-year investment plan, factoring in “everything we’d learned about driving pledges”. The plan focused on increasing Guide Dogs’ market share of legacy gifts, and on reversing the steady decline in legacy notifications, including by driving up spontaneous awareness of the charity. The plan has borne fruit: as of 2018 Guide Dogs has increased legacy notifications for four consecutive years, increased market share (from 1.4 percent to 1.56 percent, within a market that was itself growing significantly) and increased pledge to legator conversion rates by about 5-6 percent. Overall, legacy income grew from £28 million in 2010, to £48 million in 2016. “Our success suggests that a concerted, well-funded and imaginative approach to legacy marketing can make a significant impact on legacy numbers in the medium-term," said Hannah Wallis, head of legacies. When the five-year investment ended in 2017, Guide Dogs got started on the next phase. The team requested new budget to test “the cold territory”: people who weren’t already Guide Dogs supporters. The charity then began work on its first integrated advertising campaign on legacy giving, which included digital, press advertorials, a door drop, social media and a 60-second TV advert. But what message would work best? Focusing on the theme of ‘remember the dogs you’ve loved,' the campaign encouraged supporters to think about the bond they've had with the dogs in their own lives, and what that bond is like for someone with sight loss. Having never done a TV campaign before, the team did a small launch first, and then tweaked it based on results. The biggest surprise, said Wallis, was that the response was “really digital,” with very few people phoning in. “PPC [pay-per-click marketing] did a really good job of getting people to where we needed them [the website] fast.” Importantly, 80 percent of responses were cold — in other words, not from existing supporters, meaning the charity was not spending significant amounts of money to reach people who could have been reached via their mailing list. 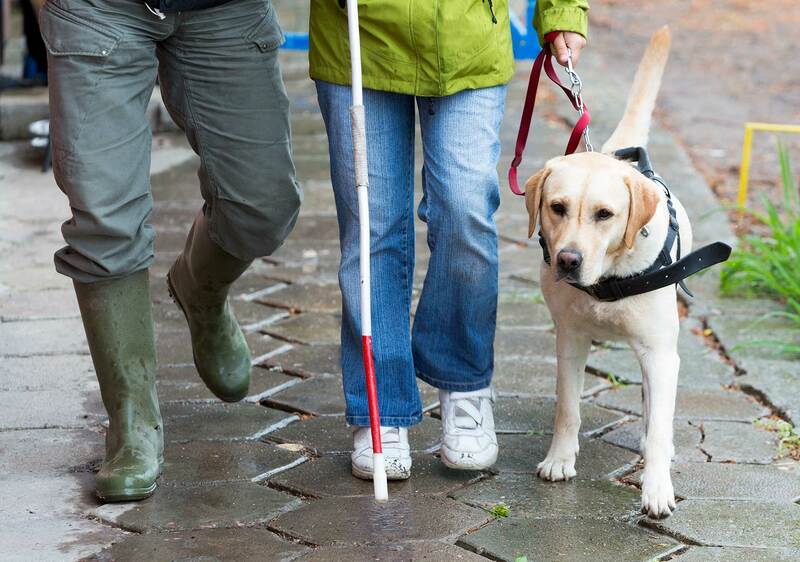 By the summer, Guide Dogs had received three direct, cold pledges and 70 pre-will referrals, which they estimate will lead to a legacy income of £2.4 million. Wallis said that their success in getting trustees in board was largely down to their direct marketing approach — alongside ‘softer’ communication — that her team brings to legacies. “We have to look at [legacy marketing] really quite commercially to be successful … we look at the payback, and we use whatever metrics we can, because we know we have to use our donors’ money wisely,” Wallis said. While some organizations may find this approach uncomfortable, it clearly works for Guide Dogs. “It means we can carry on investing — and changing the lives of people with sight loss through our services."